The main purpose of the report is to study on the sales performance between direct sales and distributor sales, here focus on Walton under RB Group. Walton is mainly a Bangladeshi brand with an excellent national image. This report is an informative type of report. Here analysis all over sales performance of Walton products in Bangladesh. Discuss other competitor and present condition. Finally, find out some problem and recommend some solution. Today with technological advancement the human race has achieved what a few years back was impossible. Electronics product is the source of refreshment to human life. When the electronic company was first introduced their product in Bangladesh, it was an expensive and fashionable item. But now its price has also gone down considerably and more people in the society can afford it. At present, there are several marketers who are offering their product in the electronic market. Among them, Samsung, Butterfly, Singer, Konka, Butterfly are the most widely known brand. And Walton is one of the leading electrical and electronics manufacturing company in our national market. Walton is basically a Bangladeshi brand with a national image. In Bangladesh, it is targeting the niche market for their home appliance products commencing their marketing strategy as of their high quality and reasonable products. They do not do their marketing for a particular group of people; they do their marketing those who have the ability to buy their products. Since the standard of living of people in our country is going up, everybody is aware of a brand of a product and wants to buy a qualitative product for a longer period of time. Walton industry is trying to build up a better basement with better technology. Since the real-life business situation is always very complex and competitive, every business has to face the intense competition and those who can successfully operate within this critical situation can become the blue cheap. To stay and increase the pace in the business track, the perception and brand awareness is very important. Purpose of the report is to study the sales performance between direct sales & distributor sales. This report is an informative type of report. Information used to prepared this report has been collected from the formal & informal way which together provide more comprehensive information. The company has been running its business with a great reputation since 1977 Establishment of Walton HIL to Manufacture Refrigerator & Freezer, Air Conditioner and Motorcycle etc. in Bangladesh is a milestone in the path of success and reputation of the brand WALTON. 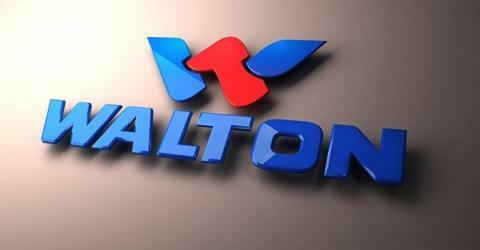 Walton HIL has introduced first advanced research and manufacturing technologies and types of equipment for household & commercial Refrigerator & Freezer, Motorcycle, and Air Conditioner etc. in Bangladesh. Walton Hi-Tech Industries Ltd. has its own Mold & Die making a section, high precision molds & dies are made with the help of the state-of-the-art VMC, CNC Wire-Cut, EDM etc. machines. The company has three Poly Urethane Foaming Plants, three Thermoforming (Vacuum forming) Units; highly equipped Metal Forming Units with Powder Coating, Nickel-Chrome Plant & Die-Casting Section, and Robot operated Injection Plastic Molding Plant, Highly equipped Test Lab, Printing & Packaging Section etc. Walton HIL always emphasizes on supreme priority in achieving customer satisfaction. The company always ensures product quality and renders the innovative latest technologies in its products. It has a complete experienced professional engineering team combined with both home and abroad to serve the valued customers. Walton import a big quantity of Electronics Consumer Goods, Automobiles and Industrial Raw Materials from different countries including our great country China. They also import some parts fr0m Malaysia. Our “WALTON” Brand Electronics and Electrical Home Appliances (Color TV, Refrigerator, Air-Conditioner, Microwave Oven Etc. ), Motor Cycle, Generator have a big market share in Bangladesh. The local company has recently signed an agreement in this connection with famous Malaysian company ‘Aget Group’ at its office at Menara Safun Tower in Kuala Lumpur. Under the agreement, in the primary stage, the Malaysian company will import 0.1 million (one lakh) refrigerators and 50,000 motorcycles every year. Walton Adviser Mizanur Rahman and Chairman of Aget Group Sultan Abdul Kadir signed the agreement on behalf of their respective sides. Walton Director (Finance) Abul Basar Howladar, Managing Director of Seven C Resources Matiur Rahman, Managing Director of Deen Metal Industries Ahmed Ali and General Manager of Aget Group Engineer King Lee was also present in the signing ceremony. The Corporate Culture of Walton follows conservative style. The corporate culture of Walton states that they prefer experienced and aged personal rather than young people. The overall corporate culture of the company is conservative and they follow it in their recruiting and promotion in the management sector. This conservative corporate culture has a great influence on the product image. The company doesn’t encourage a young, fresh newcomer in the management and with that the so-called “Crazy ideas”. But because of this negative attitude toward the crazy idea the company is lacking in creating the new dimension for the product and promotion. Achievement of sales growth through the introduction of new products. The increase in sales in major cities. Today with the technological advancement the human race has achieved what a few years back was impossible. Electronic products are the source of refreshment to human life. At present, there are several companies who are selling their product with different selling policies in the market. Among them, Samsung, Butterfly, Singer, Konka, Butterfly are the most widely known brand. And Walton is one of the leading electrical and electronics manufacturing company in our national market. Walton is basically a Bangladeshi brand with a national image. In Bangladesh, it is targeting the niche market for their home appliance products commencing their marketing strategy as of their high quality and reasonable products. Walton industry is trying to buildup a better basement with better technology. Total dollar amount collected for goods and services provided. While payment is not necessary for the recognition of sales on company financial statements, there are strict accounting guidelines stating when sales can be recognized. The basic principle is that a sale can only be recognized when the transaction is already realized, or can be quite easily realized. This means that the company should have already received a payment, or the chances of receiving a payment is high. In addition, delivery of the good or service should have taken place for the sale to be recognized. In other hand, sales is the exchange of goods or services for an amount of money or its equivalent. The broad objective of this report is to discourse about the sales performance of the RB group. To find the number of total plaza or number of total distributors. To find out the monthly sales amount of Walton didtributor. To find out the most selling product of Walton plaza. The most selling product of Walton plaza is the refrigerator. Monthly they sale almost 20000 refrigerator in Bangladesh. The most selling product of Walton dealer network is rthe efrigerator. Monthly they sale almost 30000 refrigerator in Bangladesh. Promotional activities should focus on brand equity and image and it should have the association with the lifestyles of local people. In Bangladesh Walton basically, do not have any competitors who can compete directly with them according to their Brand and price. They are the only one Manufacturer in Bangladesh refrigerator market and so that they have lots of advantage. In Bangladesh, it is targeting the mass market for their home appliance products commencing their marketing strategy as of their high quality and reasonable products. They do not do their marketing for a particular group of people; they do their marketing those who has the ability to buy their product. For that, they are offering free installment and after sales service. For the refrigerator, they provide 5 years sales service without payment. Arrange many fair in the different time period. Most of the people like to purchase Non-frostier refrigerator. So, Walton should make a Non-frostier refrigerator. DITF is one of the important place where people come together to buy a refrigerator at a discount price. So, Walton can motivate their customer by giving a discount price. Walton Bangladesh Limited has a great potential growth in the country as a leading national brand with a national image. The consumers’ behavior towards Walton is very positive and their satisfaction level is good. They make a good place in the electronics market, especially in the refrigerator market. The consumers of the refrigerator are preferred Walton refrigerator most. The consumers believe that Walton provides the high quality product with reasonable prices in case of Walton refrigerator. Consumers of refrigerator mainly get information from the TV commercial. To achieve the leading position and success, a lot of improvement is required for every divisions of it. As an electronics product became essential for the consumer day by day, many marketers are coming with this product in this electronic industry. So that it has also become a competitive market for Walton in spite of having a good brand image and local presence in Bangladesh. They should also take much more attention and careful action to establish its product line in the market. Also should be identify their customer’s behavior and keep the commitment with them strongly. To build a positive perception and awareness among the consumers about their product they have to be stronger in their promotional activities and should maintain a good relationship both internally and externally in their corporate life. Finally, I can conclude that Walton is one of the leading companies in Bangladesh with a national image. They provide the quality product with reasonable price. They provide their service to the customer carefully.